Summer is coming! And there’s no better way to enjoy the season than heading outdoors. Spending time outside is fun but the rise in temperature can also mean one thing – sweat. Excessive sweating plus the heat can take a toll on your prosthetic limb and the skin around it. The heat can cause a buildup of sweat in and around your prosthetic limb. This can be uncomfortable and cause the skin surrounding your prosthesis to break down. When you start feeling uncomfortable, take off your prosthetic limb and using a clean cloth, dry your skin and the liner. Applying a good quality antiperspirant on your residual limb before putting on your prosthetic limb can help in reducing sweat. If over-the-counter brands don’t work for you, you can ask for a higher strength product from a dermatologist. Bacteria can build up in your prosthesis wear especially when sweat starts to accumulate. Make sure you wash your residual limb and socket interior thoroughly with a bacteriostatic agent-containing soap. 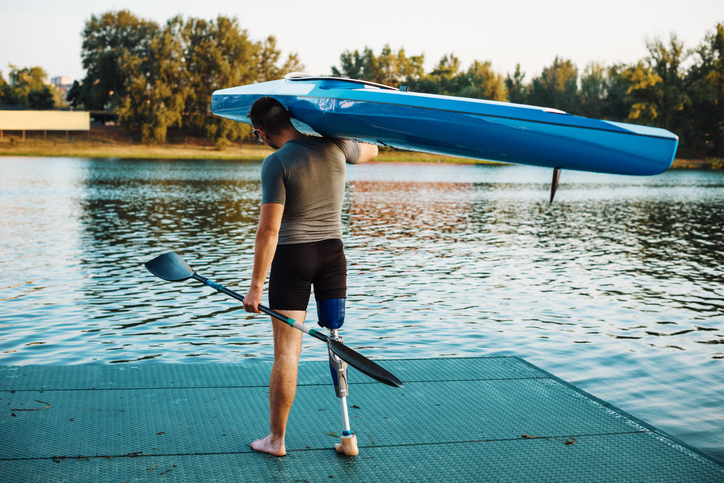 Prosthetic socks can benefit you in two ways – they keep your prosthetic limb snug and help prevent skin breakdown (limb socks help wick perspiration away from the skin). Bringing prosthetic socks with you especially when you’re outdoors can help keep you stay comfortable. Depending on what you’re doing, you may have to change your prosthetic socks more than once in a day. As excessive heat makes it challenging to don an above knee prosthesis, it would help to stay in an air conditioned room or take a cold shower 15-20 mins prior to doing it. If you have more questions on how to take care of your prosthesis during summer, give us a call. We are more than happy to help.